•	The Vancouver Alpen Club is Vancouver’s most popular venue for celebrating the event, 30+ years running! •	Patrons come to us (often in their own Dirndls and Lederhosen) to enjoy the authentic German atmosphere, beer, pretzels, German food, Live Music & DJ and Oktoberfest traditions. •	The German dance group “Alpen Plattlers” will perform. The Band “The Continentals” will take care of original Oktoberfest party music. German beer and food will be available. •	The regular ticket $35 incl. tax includes the admission to our Oktoberfest. •	The $75 VIP Ticket incl. tax includes the cover charge and entrance to our special VIP area. You will have a server that you can order refreshing drinks with all night long. Additionally, a delicious German buffet will be provided for you. •	Let’s celebrate together- Prost! 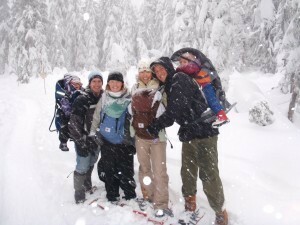 Snowshoeing is a great way to get outside in the winter months for some fresh mountain air, exercise and enjoyment. Cypress Mountain’s 11 km of safe, inbounds snowshoe trails wind through the snowy sup-alpine forests and meadows of the Nordic Ski Area located on the Hollyburn Ridge. Did you know that one of the most photographed attractions in Vancouver is on a street corner in a Victorian-era warehouse district. Here stands the world’s first steam clock. This wonderfull piece of Vancouver’s history plays the Westminster Chimes every hour and whistles every 15 minutes with a gush of steam. The Gastown Steam Clock is in full swing at the top of each hour; you can watch the steam rise out of the top of the clock and watch the mechanisms inside work their magic. Despite its Gothic style, it’s not as old as it looks. 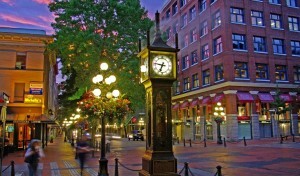 People gather around the steam clock in Gastown in downtown Vancouver, British Columbia to watch its display and take some pictures. 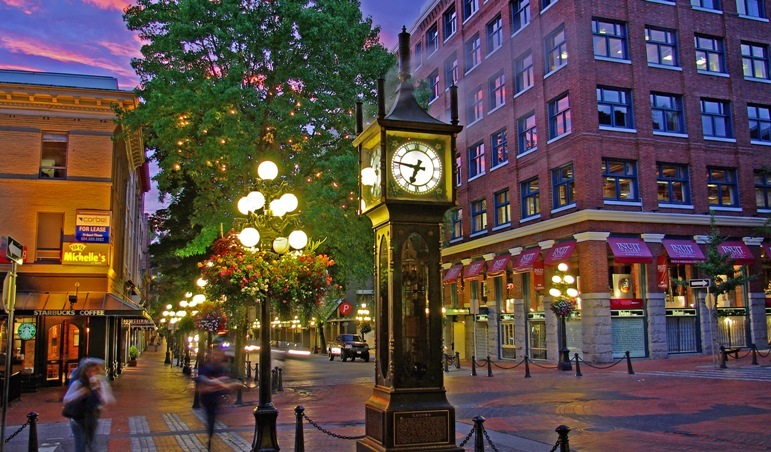 The famous Gastown Steam Clock was built by horologist Raymond Saunders, owner of The Gastown Steam Clock Company just opposite the clock. He built it in 1977 based on an 1875 design. The world’s only steam clock that is powered by steam from underground systems of pipes that supply steam to heat many downtown buildings. The steam engine is a Stuart #4 single expansion double acting 1″ piston engine. Low pressure steam is supplied to it. The engine rotates at only a few hundred revolutions per minute, which drives a reduction gear train. The gear train drives a chain lift to lift ball weights to a top track from which they load onto a drive chain providing the driving force to the clock while the ball weights descend. The engine-driven gear train drives the lower sprocket of a vertical link-chain with a lift of about four feet. Pairs of chain-mounted lifting fingers form forks which lift smooth steel balls (about two inches in diameter). The balls are lifted at a rate of one every 4.5 minutes. Top transfer. A hammer-like mechanism operates to drive the topmost ball from the lifting fork at the top of the lift. The ball is then sent by a transfer chute, where it is routed to a gate at the top of the drive chain. The ball is held until a descending clock drive chain fork is properly positioned to receive it. A similar continuous chain receives the lifted balls from the transfer chute at the top of the mechanism. At any time, five or six balls are being carried by this chain. It is the unbalanced weight upon this chain that drives a conventional pendulum clock mechanism through the upper sprocket. At the bottom of the clock drive chain the balls come to rest upon an inclined blade leading to a chute where they roll to the initial lifting point. Two or three of the balls are in this position, with the foremost awaiting the passage of the lifting fingers. 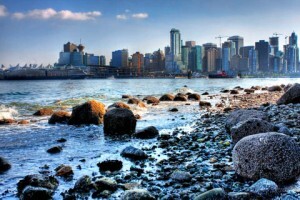 Vancouver Minibus now has a Google + page, check it out! Are you travelling in a group? Vancouver Minibus offers private shuttles wether it’s an intown transfers , YVR to Cruise Ship, or Vancouver to Seattle and other places of metro Vancouver. Call Vancouver Minibus for pricing! More cruise ships than ever before are sailing the Alaskan waters. A Vancouver to Alaska cruise is one of the most desirable cruises on any cruise lovers list. These cruises usually cost more than most other cruises such as the Caribbean, etc. The cruise season runs from April through to September. Demand is very high for Vancouver to Alaska glacier tours. Vancouver minibus will meet you at the cruise ship terminal with a nameplate and deliver you to your location, to YVR, seattle or just downtown Vancouver. All minibuses can be stocked with glasses and ice. All Vehicles are Non Smoking. You feel the rush of the waves roll upon your feet, sands shaping over your toes, and a billowing wind of excitement towers over your head. Remind you of anything familiar? I’m talking about the seawall, because not only can you ride your bike and do exercise on it, but you can have stops to go sit on the beach. 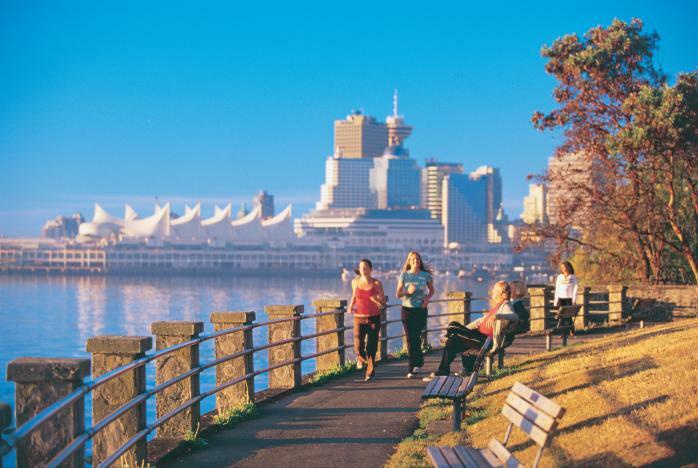 This is Stanley Park’s infamous seawall, in which thousands of people visit during the summer to enjoy their stay at Vancouver. How often is the view so brilliant from a place that is so free and elegant. Like the waves you hear upon the ocean beyond, wondering how many sea creatures live under there. Once in a while, may you spot a whale, or a fin stalking up from below. Enjoy the view, and enjoy many things that come with it including sunsets, walks, and furry friends hiding in the bushes. 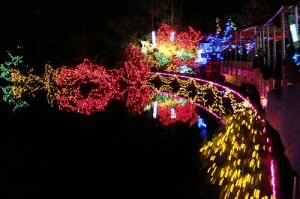 Family is always first, and Bright Lights at Stanley Park takes place during the Christmas time, when snow is on the ground, and the forest is sparkling with unknown wonders just waiting to greet you. Breathe the warm crisp willow air… or was it an Oak tree you just smelt? 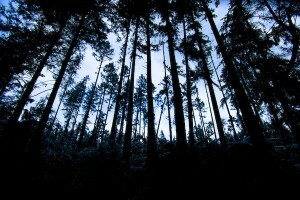 No matter what, you will always be dazzled by tall trees, deep soil, the sun shining in the distance, and nature hikes during your journey in this wild adventure at Stanley Park. And of course, you wouldn’t be able to get there without transportation, the best thing about Stanley Park is riding there in style. Come upon Vancouver Minibus Tours, and drive around the park knowing that this beautiful place is true to your heart, your soul, your body, and your mind. 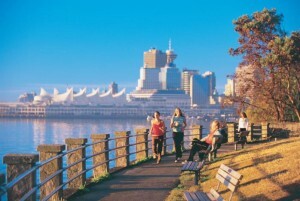 Come to Stanley Park, located next to English Bay in Vancouver, B.C., Canada. There’s not every time a huge beautiful park is named after Our Queen, isn’t there? We do in fact live in a colony, and our Queen is Elizabeth, of England. That’s one thing that makes Canada unique, we live in a country of diversity, and we have different roles in our lifestyles. Queen Elizabeth Park is a great place to visit, because of its magical atrocities that will fill your heart with its unique joy and wonder. It contains beautiful gardens, parks, and it is mostly comprised of trees, although you can find water fountains, a conservatory, and restaurants there also. Sometimes on various occasions you can see an outdoor theatre performance, birthday parties, or scavenger hunts. On normal days you can spot runners, people throwing frisbees, or walking their dogs – normal park activities. In the winter when it snows, tubing and sledding are a popular sport, for the park consists of a huge hill, and parents like to take their kids, and kids like to take their friends. You could also catch someone riding the bike maybe, but that happens all over Vancouver. Would you like a ride to Queen Elizabeth for your graduation photos, or simply pure bliss with your loved ones, call Vancouver Mini Bus and get your ride here today, at 604-874-4896.